Business Plan Or Going To Wing It? · Are not getting a bank loan for startup. · Have been in business for a while. · Think they are too hard to do. I mean if God wanted you to know how to write a business plan, someone would write an easy to understand article on it. A written business plan is more than a means to raise funds for your venture. It is your business’s blueprint. Everything you need to know right at your fingertips. 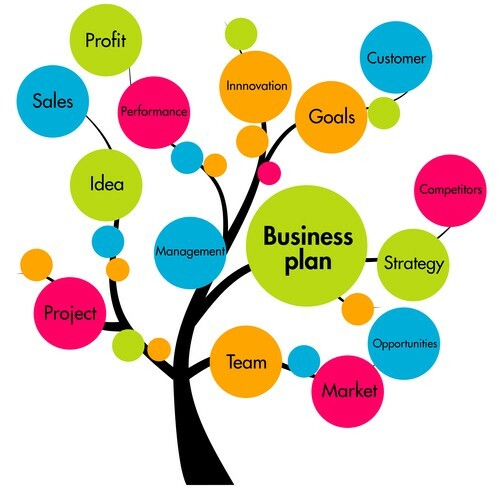 A business plan is an invaluable tool to propel your business ever onwards and upward. My business plan has seven parts to it. 1. Business Description. What does your business do? How do you deliver it? What makes you qualified? What is your why? This is more than the name of your business and your core service or product. Let the soul of your business shine through. My Example: Spirited Dog Productions is dedicated to pets. Yours in particular. We educate pet owners and their professionals through Pawsitive Educational Training. We care for your pet’s physical and emotional needs with holistic grooming via Pawsitively Pretty Mobile Grooming. We care for their health and wellbeing by offering Hands And Paws Reiki For All. It all started with Pawsitively Pretty Mobile Grooming in 2002. Mobile grooming allowed me to have that one on one time with each pet. Pawsitively Pretty offers a holistic and relaxing atmosphere for all pets, while specializing in elderly dogs and cats. When I couldn’t find information I felt was necessary to grow my business, I took things in my own hands and added Pawsitive Educational Training to my lineup. We offer business and safety programs for the pet professional. As a nationally recognized innovator and educator within the professional pet industry, I wanted to offer educational opportunities for pet owners to Pawsitive Educational Training as well. I value continuing education and spend hundreds of hours every year learning better ways to serve your pets. In 2012, I opened Hands And Paws-Reiki For All. As a holistic pet groomer, Advanced Crystal Master, and Reiki Master, I wanted to offer wellness opportunities for your pets that my pets already benefited from. 2. Products and Services. Detailed descriptions of all your services and products, including what makes them unique. This section should include how you decided on pricing, as well as time spent delivering the product or service? After all, time is money. Does your pricing reflect your operating costs? 3. Sales and Marketing Strategies. How are you acquiring your clients? This section should detail all forms of marketing, including your website and social media. The most important part is the metrics of past strategies. What worked and what did not. Meaning which strategies netted you clients. 4. Day-To-Day Operations. What does it take to run your business? Overhead, start up costs, employees, outside support professionals, salary (yours), and end game. Unless you plan on working until the day you die, you must plan for the end of your business. That’s retirement and/or sale of your business. Your business will command a higher price if you can demonstrate its value through documentation, such as yearly updated business plans and tax returns. Your outside business support personnel may include accountants, marketers, lawyers, service repair, insurance agents, coaches, suppliers, and so forth. 5. Development. While every other section is based on facts, here is where you can dream. What are planning to offer in the future? This holds space for you make those plans. My future plans for Spirited Dog Productions will focus on introducing a consistent line of recorded and live online workshops geared towards the pet professionals, as well as pet owners. 6. Financial summary. If you have not started your business, then income is projections based on similar businesses. No detail is too small. Account for every penny. The health of your business depends on your familiarity with your financial summary. Accounting software makes this easier than you think. Income should be separated divided by every thing you sell or offered service. When you track each income stream individually, you can see what is making money and what is not. Are you allocating resources that are not adding to your bottom line? You’ll know that if you track your expenses. 7. Business Summary. Sums up your business in easy to read bullet points. Most financial institutions, investors, or prospective buyers will read this first before making the decision to read further. A written (or typed) business plan gives you the tools to make intelligent decisions regarding the future of your business based on real time analysis rather than conjecture and guesswork. It adds measureable value to your business.